Looking at innovative ways of proving identity - from a user's point of view - will play a crucial part in local authorities providing transformed digital services and offering citizens all the opportunities they experience elsewhere online. Today we held the first of 2 discovery days to examine how local authority taxi licensing, concessionary travel and parking permit services might be improved using GOV.UK Verify and Driver and Vehicle Licensing Agency (DVLA) services. 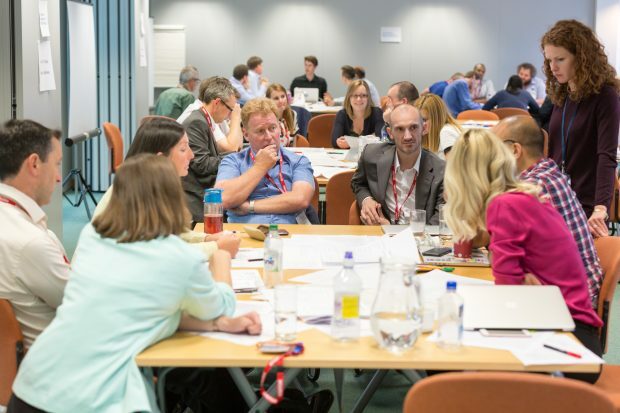 The event was intended to build on work already done by the Department for Communities and Local Government, DVLA and the Government Digital Service (GDS), which identified these local services as high priorities for digital identity and automated DVLA data checks. 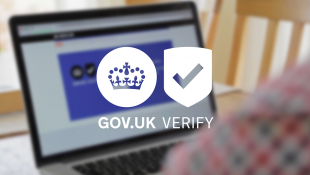 We’re a newly formed team looking at GOV.UK Verify for local government and this is the first opportunity we’ve had to bring together more than 40 colleagues from 27 local authorities across the country. We decided that the event should take an experimental workshop format. We also introduced some principles for a discovery project. We’ll be blogging more about these - and the requirements for local authorities to connect to GOV.UK Verify - soon. Participants heard from Ian Litton from Warwickshire County Council. Real time attribute exchange builds trust, increases transparency, and reduces the complexity of services for users and for service providers. Ian worked on a project with the Open Identity Exchange looking at attribute exchange as a common way to transform multiple services. He explained that attribute exchange involves the user granting permission for a trusted source (for example, a DVLA database) to disclosure information about them to a service provider (such as a local authority), for a specific purpose (like applying for a parking permit). It doesn’t grant indefinite access to the data source and the user remains in control as they can see the data, vouch for its accuracy and relevance to the transaction. DVLA’s Paul Jeffries spoke about the types of data the agency already has available for potential use in attribute exchange for local authorities. An afternoon workshop involved a series of group exercises, including preparing and presenting a 3 minute Dragon’s Den-style pitch. The pitches were essentially business cases for a local authority service that could be significantly improved for users if connected to GOV.UK Verify and DVLA services. Each group mapped out the key elements of a service, from the citizen’s application process, to the local authority’s evaluation and any verification processes, to service delivery. They then presented summary of the service’s current status - including the cost to local government - and their vision for what it could look like in future. For example, we heard about taxi licensing processes that could be simplified, creating the space and time for staff to serve other user needs. No-one wakes up in the morning and says 'What I'd really like to do today is apply for a parking permit'. We also listened to a description of an online parking permit process that, if connected to a service like GOV.UK Verify, would be quicker for users who currently have to send information by post. After the presentations, all participants came together to identify the strengths and weaknesses of the proposals. We captured this feedback - and the themes it identified - and will use it to inform a collaborative discovery project. Overhearing conversations during the afternoon workshop, the wider benefits of collaborating were being openly discussed. This included conversations around economies of scale, knowledge sharing, and the opportunity for local authorities to influence DVLA and GDS in terms of service development. Groups also gave consideration to what would be needed to get support for a discovery project from senior colleagues and fed those requirements back to GDS and DVLA. Thank-you to everyone who took part in the workshop, we hope it was helpful. 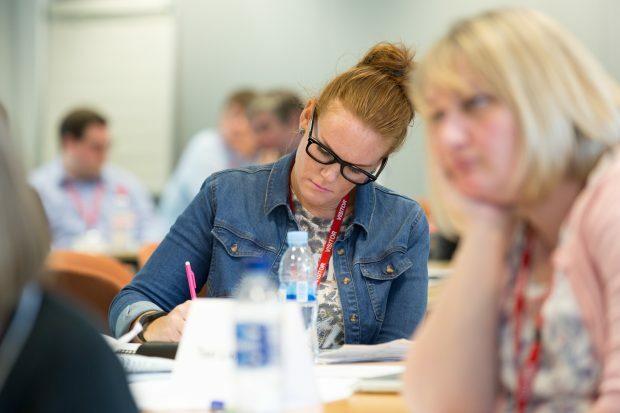 If you’re a public sector employee interested in trailing GOV.UK Verify with your authority’s taxi licensing, concessionary travel or parking permit services, we’ll be hosting a further discovery day in Bristol on 27 July and spaces are available. Once we’ve analysed the information gathered at these sessions we’ll share it on the Local Digital Coalition website.